Update: Since this article was written, a new way of storing your SJCX in Armory was made possible. Here's a guide to keep your SJCX in Armory cold storage, while being able to see your SJCX in and make transfers from Counterwallet. The tutorial on this page will still be valid if you want to use something like a paper wallet or if you want to store your SJCX in Armory on an online computer. 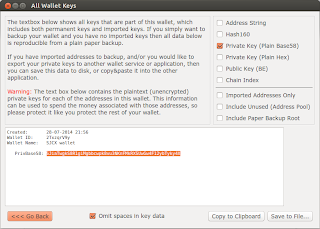 Armory: Bitcoin wallet software focusing on security and usability. Counterparty: A framework for creation and maintenance of assets based on Bitcoin. Counterwallet: The official wallet for Counterparty assets. SJCX: Cryptocoin which is used for buying and selling storage on Storj. 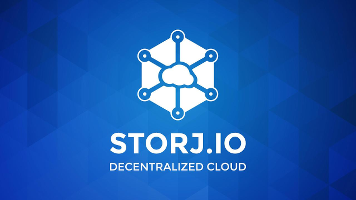 Storj: Decentralized network that allows for encrypted file storage in the cloud. You might want to keep your SJCX in Armory (or another ordinary BTC wallet) if you don't fancy using a web wallet like Counterwallet for storing larger amounts that you're not going to use immediately. Only, beware that Armory, etc., cannot show the SJCX amount, but will instead only show a small BTC amount. The small BTC amount will not reflect the amount of SJCX nor any changes to the amount of SJCX. Create a new Armory wallet for storing your SJCX by clicking the "New Wallet" button in the main window. Armory will guide you through setting up a new password and making a backup (two very important steps!). It is highly recommended to not use an existing wallet, as you will have to send the private key over the Internet when you want to transfer the SJCX back to Counterwallet. Get a new address to send your SJCX to by clicking "Receive Bitcoin" in the Armory main window, then selecting your new wallet in the window that pops up. A new address will be created for your new wallet. To ease things, you can copy that address to the clipboard. Now, log in to Counterwallet and send your desired SJCX amount to the new address in Armory. Remember that sending SJCX to anywhere requires a small amount of BTC on that same Counterwallet address for fees. Also, you may want to send some BTC (0.000256 BTC recommended) to the Armory address (either from Counterwallet or from any other BTC address). This will cover fees for when you want to send your SJCX back to Counterwallet. However, you will have the option to do so later. Et voilà! You are now storing your SJCX in an address that is controlled by Armory. Notice, though, that Armory will only show you a BTC amount, not the SJCX amount. But no worries; your SJCX is just as safe and secure as the small BTC amount you see there. And remember, the small BTC amount does not tell anything about how much SJCX you have. If you want to keep track on the amount of SJCX you have stored up in Armory, you can actually do so by importing the address as a "watch-only" address in Counterwallet. This way, you will be able to see your amount of SJCX from Counterwallet, but you will only be able to do anything with it from Armory. To do this, from Counterwallet select "Create New Address" -> "Create Watch Only Address". To get the private key for your address in Armory, double-click your SJCX wallet in the Armory main window, click "Backup this wallet", select "Export Key Lists" and click the button of the same name. After having supplied your password, you'll be presented with your private key in different encodings. 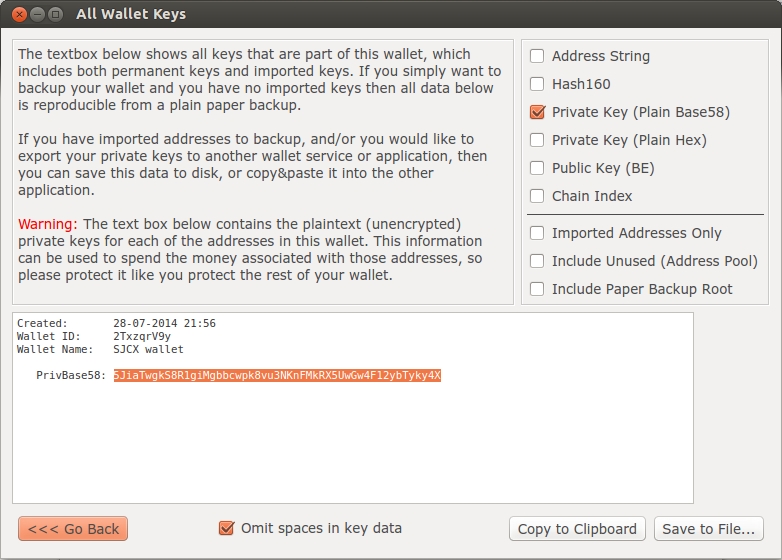 You can remove all checkboxes, except "Private Key (Plain Base58)". Check the "Omit spaces in key data" box. Now select the key string and copy it to the clipboard. 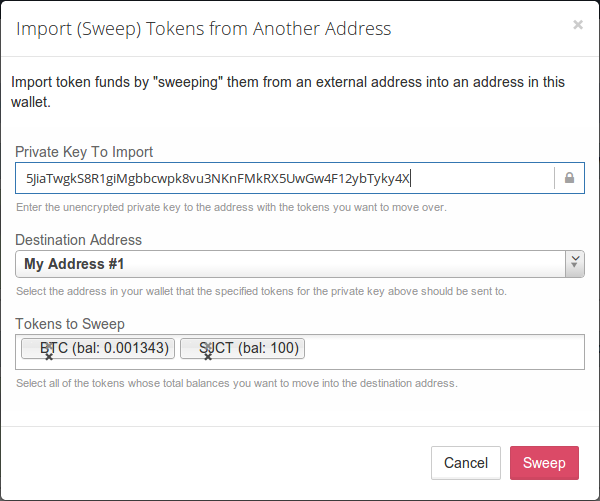 From Counterwallet, you can now sweep your SJCX back from Armory. This involves handing over your Armory wallet's private key to Counterwallet, which is why we created a new wallet for the purpose, so that we can delete it and never use it again afterwards. Go to Counterwallet and click the "Import Funds" button, then select "From Another Address". In the appearing window you can paste the private key, and Counterwallet will now tell you how much SJCX you have and let you choose how much to sweep. 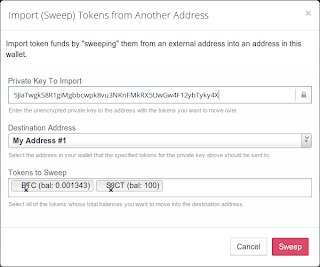 Sweeping involves Counterparty transferring the funds back to its own wallet on behalf of Armory, so to say, which is what the private key is needed for. Counterwallet will warn you if you have insufficient BTC for fees to do the sweep, including telling you exactly how much you need to transfer to the address. Until a dedicated SJCX wallet application is developed, this method can be used as a slightly inconvenient but much more secure way of storing your SJCX. Why does it work? It works because of the fact that all Counterparty assets (such as SJCX) are based on Bitcoin and uses the Bitcoin block chain. Thereby SJCX and other Counterparty assets allow you to handle them using ordinary Bitcoin apps, even though these apps don't directly support SJCX. Hopefully, though, one day someone will develope a dedicated SJCX wallet, or even implement proper support into existing Bitcoin wallets so users can choose between Counterwallet and something else. More options are always better.